Audi developed and built a couple of autonomous car concepts in under 6 months. They named the cars AJ and Bobby after racing drivers A. J. Foyt and Bobby Usner. These cars were tested publicly for the first time at the Grand Prix track in Hockenheim, Germany, a few weeks ago. 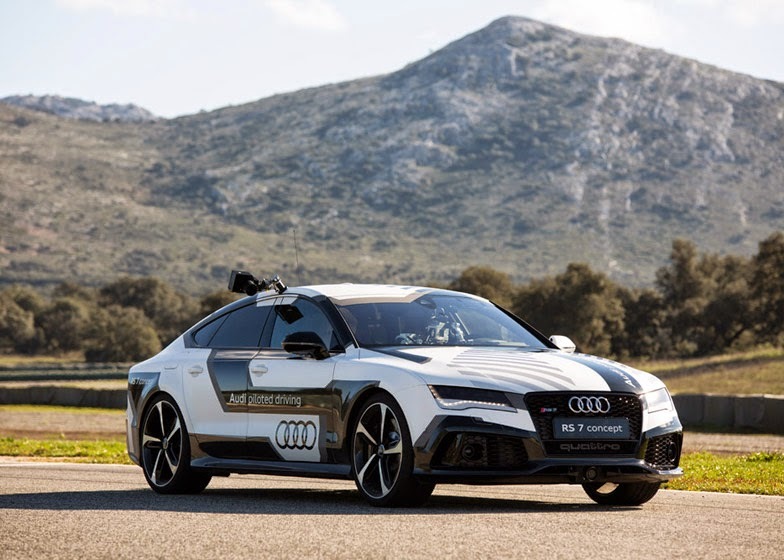 These weren't just any driverless cars but a couple of super-fast Audi RS 7 Concept vehicles. One of the cars completed a full lap at Hockenheim at 220 kmph (or 140 mph) while being controlled solely by software. Then, 25 passengers were brought in. Audi teamed up with design studio Kram/Weisshaar in an aim to capture "deathly fear" and "complete excitement" of passengers experiencing their first autonomous car journey. That too at super-fast speeds! The studio installed a media capture system in the vehicle and allowed 25 passengers including musicians, film stars, and artists to ride around the Ascari race track in Spain.